Use LinkedIn for professional networking or job discovery? Add our job announcements and other relevant news to your feed by "following" C-DEBI’s company page, and link your profile via the Work Experience section (e.g., “Postdoctoral Fellow at C-DEBI: Center for Dark Energy Biosphere Investigations”). Nominations now open for the C-DEBI 2018 Networked Speaker Series! 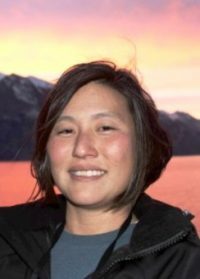 Join us online for our third Networked Speaker Series seminar of of the 2018 season, featuring Dr. Jackie Goordial (Bigelow Laboratory for Ocean Sciences) on “Microbial activity and ecology through sorted cell -omics of Mid-Atlantic ridge oceanic crust and sediments.” Missed the last seminar with Dr. Alma Parada (Stanford University) on “Evaluating the diversity and distribution of novel microbes across physical and geochemical gradients in deep-sea sediments”? Watch it on YouTube. Join us online for our second Networked Speaker Series seminar of of the 2018 season, featuring Dr. Nagissa Mahmoudi (McGill University) on “Uncovering microbial species-specific effects on organic matter transformation in marine sediments.” Missed the last seminar with Dr. Alma Parada (Stanford University) on “Evaluating the diversity and distribution of novel microbes across physical and geochemical gradients in deep-sea sediments”? Watch it on YouTube. 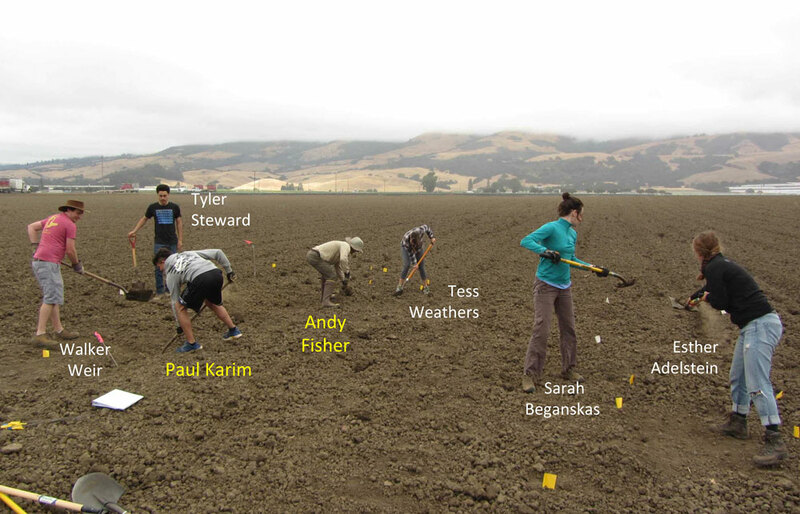 You are cordially invited to the Center for Dark Energy Biosphere Investigations’ Community College Cultivation Cohort (C4) summer presentation symposium. 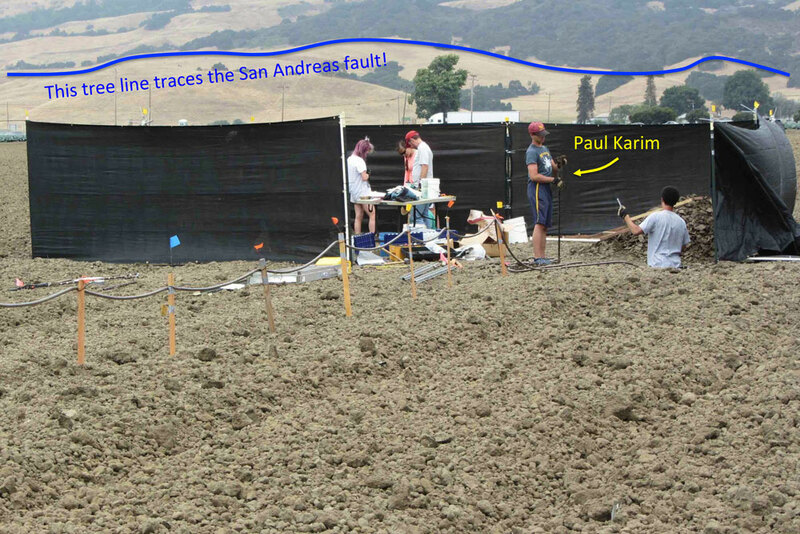 Students from the C-DEBI NSF REU: C4 program will share their results from the summer. The C4 students will also present their findings at the Undergraduate Research Poster Symposium on August 10. Please see the flyer for details. Students-friends & family are welcome. Mentors/PIs-please share with other members of your lab. Light refreshments will be served at both events. C-DEBI seeks nominations for three speakers for the 2018 program. C-DEBI is continuing the Networked Speaker Series (begun in Fall 2011) as a means to enhance communication and the exchange of ideas among our spatially distributed community. Potential speakers can be nominated by colleagues, mentors, or those mentored by C-DEBI participants; they can also self nominate. Selected C-DEBI Networked Speakers will make a presentation online, using video conferencing tools, with assistance from the C-DEBI main office at USC. Nominated C-DEBI Networked Speakers should be capable of combining compelling visual materials with the ability to communicate effectively to a broad audience. We are particularly enthusiastic about giving young researchers a chance to present work to the C-DEBI community. Being selected to be a C-DEBI Networked Speaker is an honor. Dr. Emily Estes (University of Delaware) will give the next Networked Speaker Series Seminar on “Organic carbon utilization and preservation in a carbon desert.” Abstract: Organic carbon (OC) preserved in marine sediments acts as a reduced carbon sink that balances the global carbon cycle. Understanding the biogeochemical mechanisms underpinning the balance between OC preservation and degradation is thus critical both to quantifying this carbon reservoir and to estimating the extent of life in the deep biosphere. This work examines the content and composition of OC in oxic pelagic sediments from the North Atlantic and South Pacific gyres in order to evaluate preservation mechanisms operating on million-year time scales and to gage heterotrophic activity in these OC-limited environments. We utilize a combination of elemental analysis/isotope ratio mass spectrometry and novel synchrotron-based X-ray absorption spectroscopy. These techniques interrogate the entire particulate organic carbon pool in contrast to more commonly applied techniques that require chemical extractions or demineralization. OC and nitrogen concentrations decrease exponentially from the sediment-water interface to values <0.1% in the deep subsurface and, to a first order, scale with sediment oxygenation. In the deep subsurface, however, molecular recalcitrance becomes more important than oxygen exposure time in protecting OC against remineralization. Deep OC consists of primarily amide and carboxylic carbon in a scaffolding of aliphatic and O-alkyl moieties, corroborating the extremely low C/N values observed. 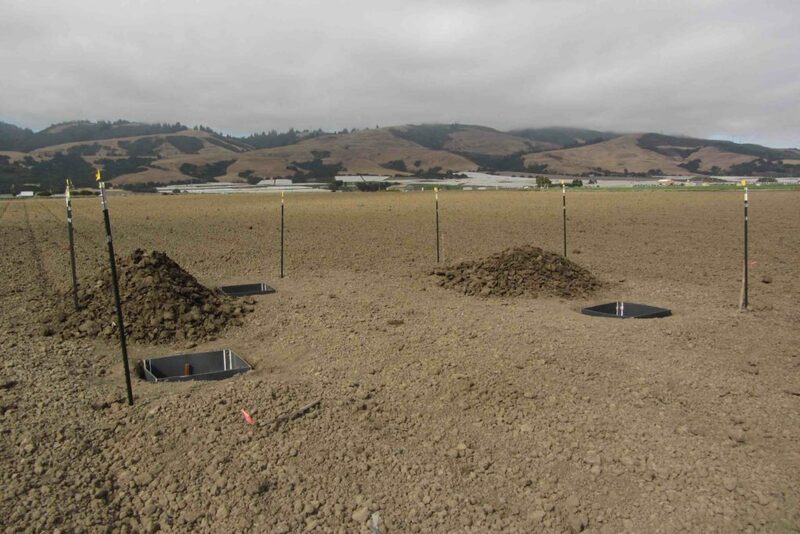 These findings suggest that microbes in oxic pelagic sediments are carbon-limited and may preferentially remove carbon relative to nitrogen from the organic matter pool. 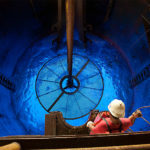 The NSF Science and Technology Center for Dark Energy Biosphere Investigations (C-DEBI) invites proposals for 1-year research projects (in the anticipated range of $50,000-$80,000) and 1-2 year graduate student and postdoctoral fellowships that will significantly advance C-DEBI’s central research agenda: to investigate the subseafloor biosphere deep in marine sediment and oceanic crust, and to conduct multi-disciplinary studies to develop an integrated understanding of subseafloor microbial life at the molecular, cellular, and ecosystem scales. 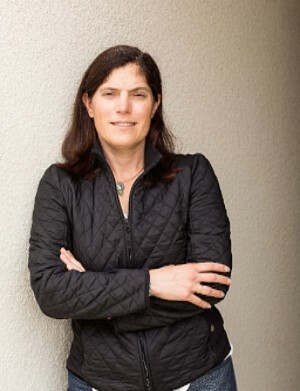 C-DEBI’s research agenda balances exploration-based discovery, hypothesis testing, data integration and synthesis, and systems-based modeling. C-DEBI welcomes proposals from applicants who would enhance diversity in C-DEBI and STEM fields. This request for proposals is open to all interested researchers at US institutions able to receive NSF funding as a subaward. The deadline for this call is December 1, 2017. The NSF Science and Technology Center for Dark Energy Biosphere Investigations (C-DEBI) invites proposals for 1-year research projects (in the anticipated range of $50,000-$80,000) and 1-2 year graduate student and postdoctoral fellowships that will significantly advance C-DEBI’s central research agenda: to investigate the subseafloor biosphere deep in marine sediment and oceanic crust, and to conduct multi-disciplinary studies to develop an integrated understanding of subseafloor microbial life at the molecular, cellular, and ecosystem scales. C-DEBI’s research agenda balances exploration-based discovery, hypothesis testing, data integration and synthesis, and systems-based modeling. C-DEBI research support is provided to “expeditions of opportunity”, and we’ve created a webpage listing potential options for participation. We welcome you to provide information about other expeditions of opportunity to share with the C-DEBI community! Help us further our mission to explore life beneath the seafloor and make transformative discoveries that advance science, benefit society, and inspire people of all ages and origins. C-DEBI welcomes proposals from applicants who would enhance diversity in C-DEBI and STEM fields. This request for proposals is open to all interested researchers at US institutions able to receive NSF funding as a subaward. The next deadline for these annual calls is December 1, 2017. The Metcalf Institute for Marine & Environmental Reporting has developed a series of Research Backgrounders and a C-DEBI Experts List to communicate exciting developments in our research of the marine deep biosphere to the journalism and science-writing communities as well as the general public. Supported through a C-DEBI Education and Outreach Grant, these scientifically-vetted resources including a dedicated insight into each of the C-DEBI research themes are intended to assist journalists in their efforts to understand and report on these complex but broadly significant findings. Join the community mailing list of over 900 scientists, educators, students and more to stay informed of all things deep biosphere! Find out what’s going on with C-DEBI and numerous deep biosphere opportunities and resources every other week. For postdoctorals able to act as principal investigators at their institutions, submit proposals for our Research Grants. 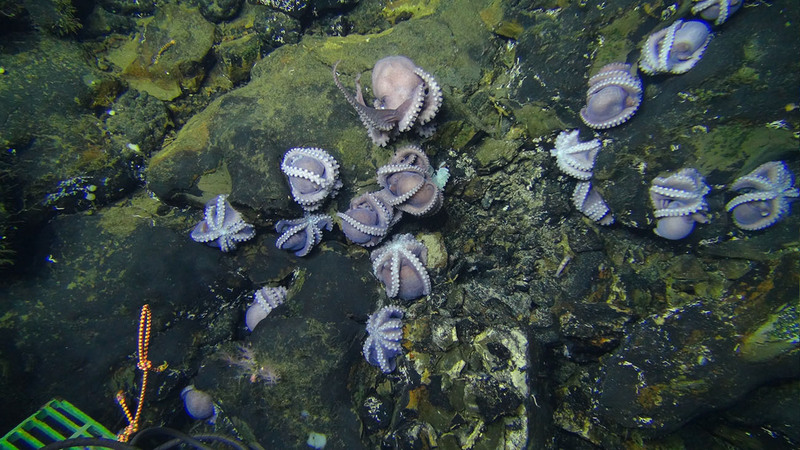 C-DEBI invites research proposals in support of marine deep biosphere research concerning life in marine sediments and volcanic ocean crust. 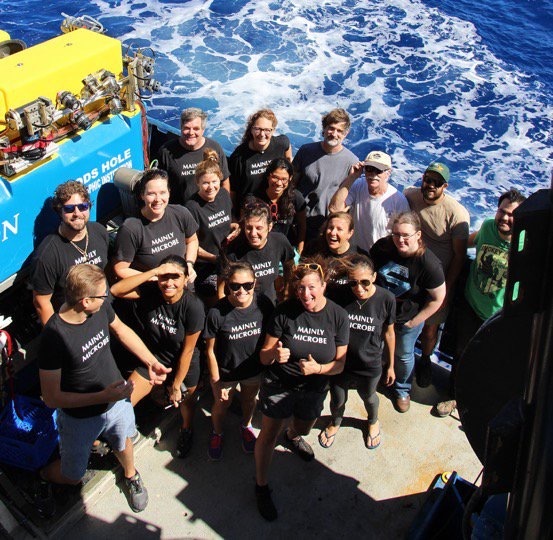 C-DEBI facilitates scientific coordination and collaborations by supporting student, postdoctoral, and faculty exchanges to build, educate and train the deep subseafloor biosphere community. We award small research exchange grants for Center participants. These grants may be used to support research, travel for presenting C-DEBI research at meetings, or travel exchanges to other partner institutions or institutions that have new tools and techniques that can be applied to C-DEBI research. C-DEBI provides support for graduate student and postdoctoral fellowships awarded on the basis of scientific excellence and the appropriateness of the subject matter to Center objectives. 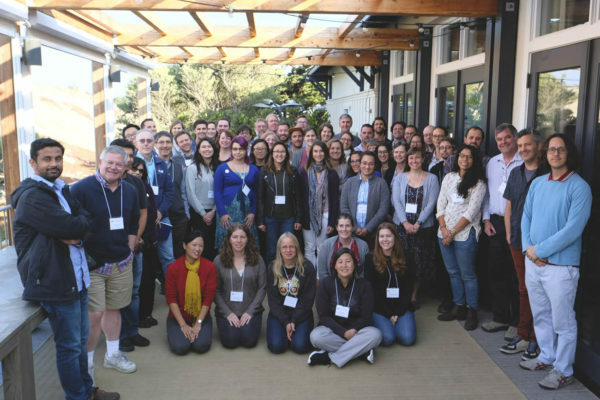 The goal of the fellowship program is to stimulate the advancement of deep biosphere research through the training of a new generation of innovative scientists. Potential fellows should contact and discuss research topics for fellowships with potential advisors, as successful candidates will be expected to have well-conceived research plans as well as willing advisors. 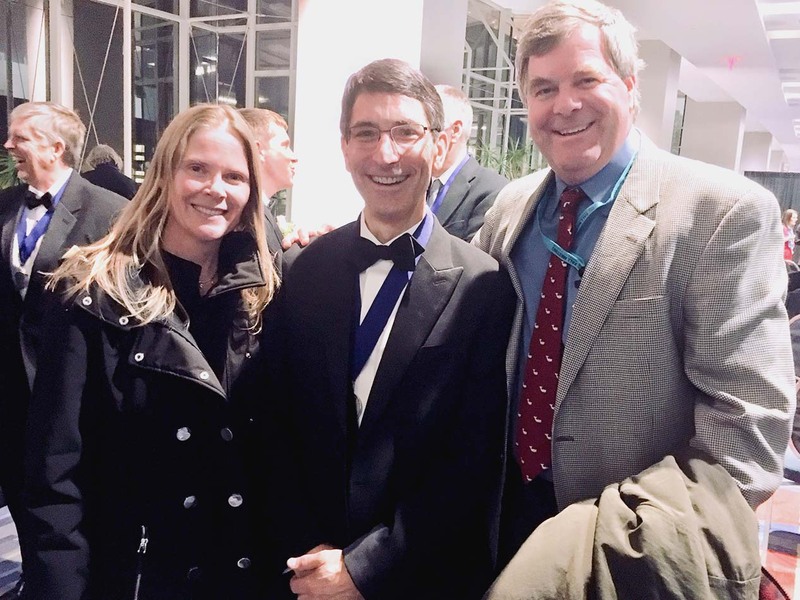 C-DEBI is a “networked” Science and Technology Center, gathering expertise, ideas, and participation from institutions across the U.S. and around the world. C-DEBI runs the Networked Speaker Series as one means to enhance communication and the exchange of ideas via short (30 minute) presentations with time for questions and discussion. The series is presented live online for remote participants, and is recorded and available on the website for those unable to “attend” the live events. The graduate student and postdoctoral webinar series is part of C-DEBI’s professional development program. Only graduate students and postdocs participate in the live interactive webinars, which afterwards are archived and available to the entire C-DEBI community. See the inaugural science communication “Elevator Talk” webinar presented by Dr. Myrna Jacobson-Meyers (USC), David Bader, Emily Yam, and Jenny Lentz (Aquarium of the Pacific). Our mailing list is a forum for C-DEBI and non-C-DEBI graduate students and postdocs to discuss topics pertaining to their research, professional development, and employment/fellowship opportunities. Join the gang of hundreds by sending your request to C-DEBI Education, Outreach & Diversity Director Stephanie Schroeder (slschroe@usc.edu). 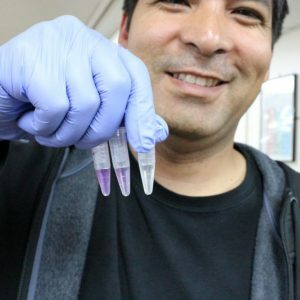 SACNAS is an inclusive, interdisciplinary and grass-roots driven professional organization for anyone seeking a career in a STEM (Science, Technology, Engineering, and Mathematics) field. Through mentorship and scholarship, SACNAS networks students and established professionals to diversify STEM fields, medical fields and the social sciences. C-DEBI fosters the mission of the University of Southern California SACNAS Chapter through support of activities and participation in the SACNAS National Conference. 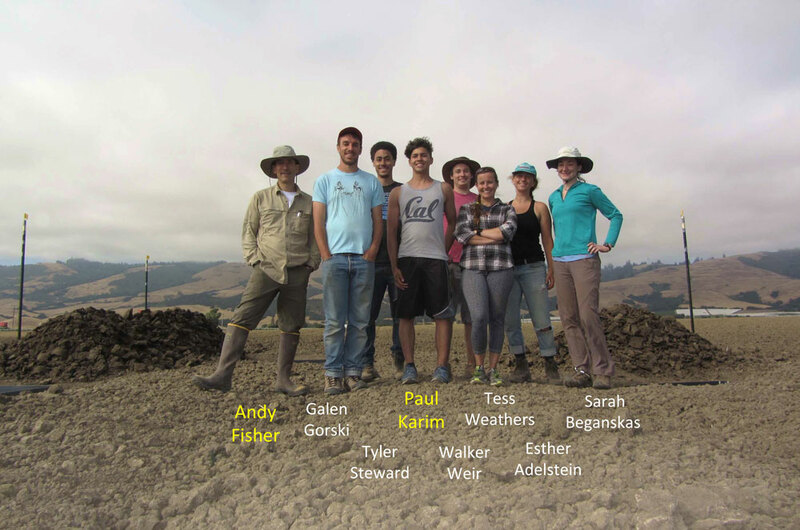 The GGURE program offers students the opportunity to participate actively in a research group, with either an experimental or computational focus, and perform original research under the direct supervision of a faculty mentor. 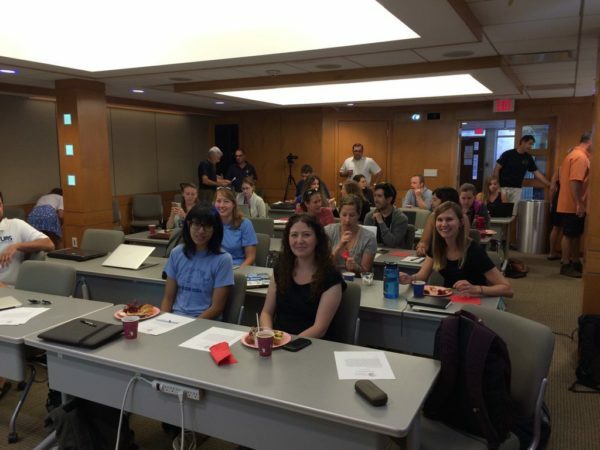 The Community College Research Internship for Scientific Engagement (CC-RISE) is an eight-week, paid, summer research internship program for community college students run by the Center for Dark Energy Biosphere Investigations. Students will gain firsthand exposure to the scientific process by working in a faculty-led research lab at the University of California Santa Cruz or at the Woods Hole Oceanographic Institution in Woods Hole, MA. In addition to research, students will participate in activities focusing on how to transition from a two-year college to a university and information on graduate school. At the end of the program, students will present their results to an audience of peers and mentors. Spend your summer doing exciting, cutting-edge research—no experience needed! 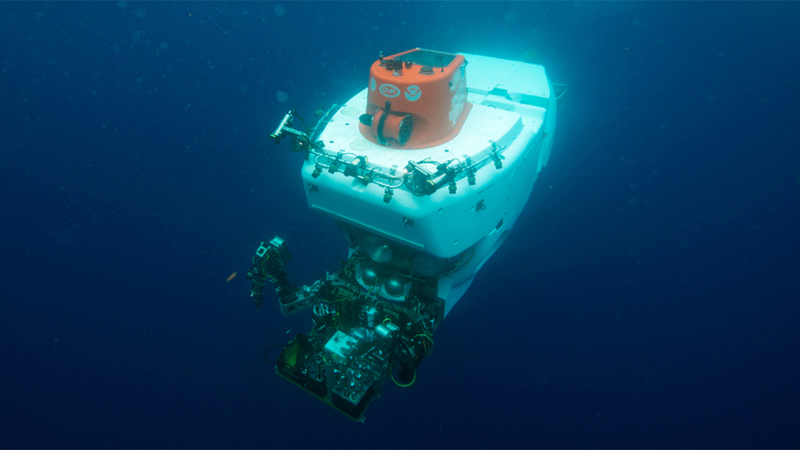 Be part of a research center that studies life below the oceans, in the sediments and rocks of the subseafloor. This ecosystem is largely unexplored, and we need students to help grow, isolate, describe, and ultimately name the microorganisms referred to as ‘intraterrestrials’. C4 students will work in teams in laboratories at USC, learning state-of-the-art techniques ranging from DNA sequencing to microscopy and sterile techniques to analytical chemistry. 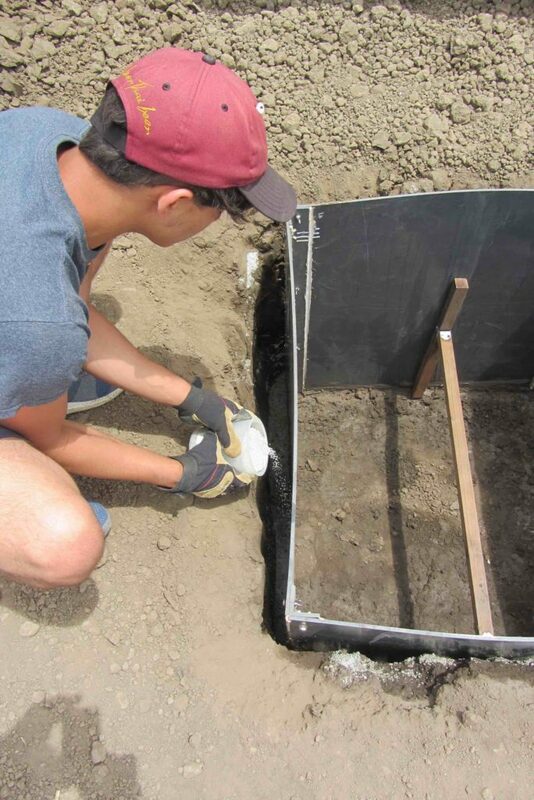 The GEM Course is a four-week program integrating classroom learning with field sampling and laboratory protocols in microbial ecology to engage students in scientific analysis and learning. 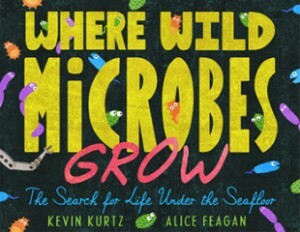 Learn what bacteria are, how they work, and what they do at the University of Southern California, the Eastern Sierra Mountains and the Wrigley Marine Science Center on Catalina Island. Our ideal candidate is early in their college career, scientifically curious, and a hard-working learner. The USC Young Researchers Program is a six-week program co-sponsored by C-DEBI that matches talented and motivated Los Angeles-area high school rising seniors with USC research groups for a summer of research under the supervision of faculty and graduate students. Students get to experience first-hand the excitement of research in real university labs. The research work is supplemented with weekly workshops to give students some basic tools to help them get into college and pursue degrees in STEM (Science, Technology, Engineering, and Mathematics) fields. In partnership with USC Sea Grant, C-DEBI offers a weeklong Summer Science Camp providing high school students from underrepresented backgrounds the opportunity to visit the USC Wrigley Marine Science Center on Catalina Island, and other coastal sites and explore marine science with hands-on learning. Students get amazing opportunities to work with local researchers, conduct their own research projects, learn about careers in marine science, and explore the marine protected areas around the island. 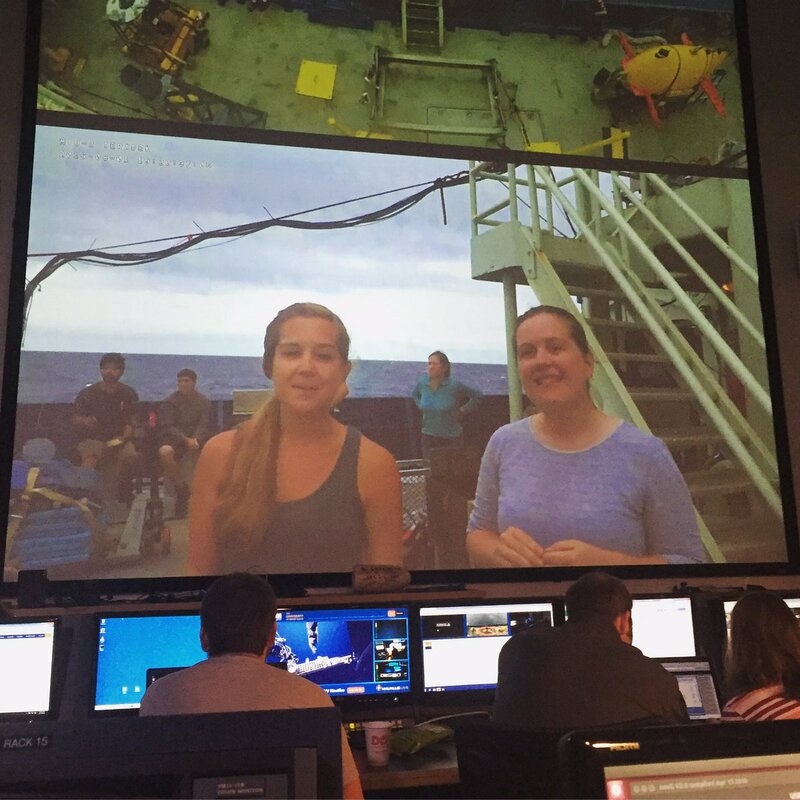 A highlight of this camp is exploration through technology as students build a remotely operated vehicle (ROV) and learn about deep-sea research done by the Center’s researchers. Design and construction of educational Remotely Operated underwater Vehicles (ROVs) from the simple PVC ROV to the Camera ROV to the very user friendly Catalina ROV. Note: This eBook was also written to meet Common Core and Next Generation Science standards and uses text, illustrations, and videos to teach K-8 students about intraterrestrial life and the nature of science. Formatted for a digital projector or an interactive whiteboard in addition to iPads! See details here! The K-16 Educator Small Grants program supports K-16 teachers who have attended a C-DEBI educator training program and have incorporated C-DEBI content into their classrooms. These awards up to $2500 support items including but not limited to the following: funds for student field trips, classroom supplies, travel for presenting C-DEBI curriculum at educator meetings, or additional professional development directly related to C-DEBI research. Proposals for funding should indicate how C-DEBI research content is being translated into the classroom and how the proposed activities connect to that content. Los Angeles area community college instructors are invited to attend a day-long C-DEBI sponsored workshop at USC to learn about deep biosphere research being conducted by C-DEBI scientists and to collaborate with fellow instructors to integrate the information into their current curriculum. One workshop is held in each of the Fall and Spring semesters. Contact C-DEBI Education Director Stephanie Schroeder (stephanie.schroeder@usc.edu) for details. C-DEBI seeks nominations for three speakers for the 2016-2017 program. C-DEBI is continuing the NetworkedSpeaker Series (begun in Fall 2011) as a means to enhance communication and the exchange of ideas among our spatially distributed community. Potential speakers can be nominated by colleagues, mentors, or those mentored by C-DEBI participants; they can also self nominate. Selected C-DEBI Networked Speakers will make a presentation online, using video conferencing tools, with assistance from the C-DEBI main office at USC. Nominated C-DEBI Networked Speakers should be capable of combining compelling visual materials with the ability to communicate effectively to a broad audience. We are particularly enthusiastic about giving young researchers a chance to present work to the C-DEBI community. Being selected to be a C-DEBI Networked Speaker is an honor. For more information about the Speaker Series and nomination request, please see: http://www.darkenergybiosphere.org/outputs-resources/networked–speaker–series/. 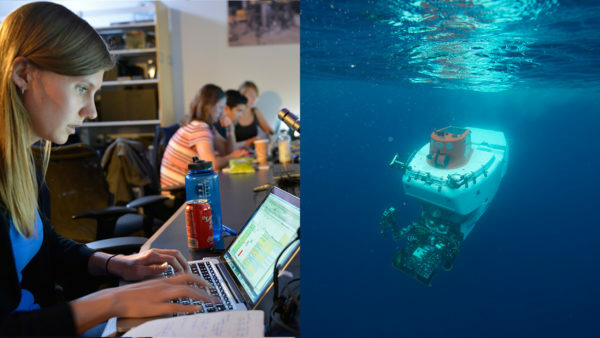 C-DEBI invites proposals for 1-year research projects (in the anticipated range of $50,000-$80,000) and 1-2 year graduate student and postdoctoral fellowships that will significantly advance C-DEBI’s central research agenda: to investigate the subseafloor biosphere deep in marine sediment and oceanic crust, and to conduct multi-disciplinary studies to develop an integrated understanding of subseafloor microbial life at the molecular, cellular, and ecosystem scales. C-DEBI’s research agenda balances exploration-based discovery, hypothesis testing, data integration and synthesis, and systems-based modeling. C-DEBI research support is provided to “expeditions of opportunity”, and we’ve created a webpage listing potential options for participation. We welcome you to provide information about other expeditions of opportunity to share with the C-DEBI community! 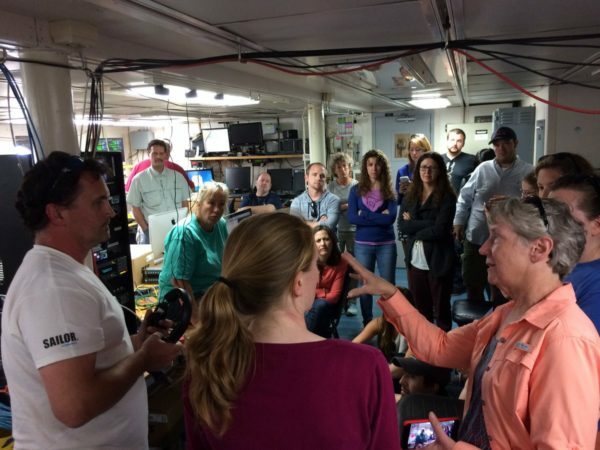 Help us further our mission to explore life beneath the seafloor and make transformative discoveries that advance science, benefit society, and inspire people of all ages and origins. C-DEBI welcomes proposals from applicants who would enhance diversity in C-DEBI and STEM fields. This request for proposals is open to all interested researchers at US institutions able to receive NSF funding as a subaward. Proposal deadline: December 1, 2016.